Posted by Destin Real Estate Sales on Thursday, March 16th, 2017 at 9:26am. Costa Blanca is a new exclusive enclave perched upon a sugary dune overlooking the gulf with a prime location directly across from the Gulf Place town center in Santa Rosa Beach. It is due for completion by Autumn of 2017. 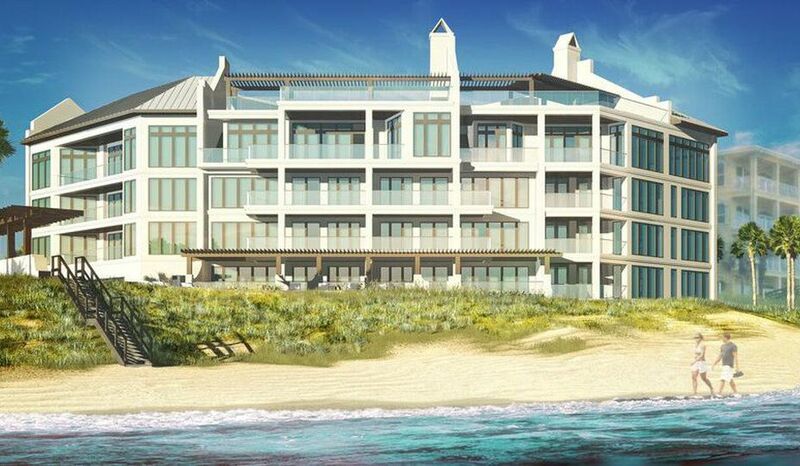 These 14 luxurious condominiums have almost completely sold out due to their pristine beachfront location, prestigious exclusivity, abundant amenities and the masterful craftsmanship underway on the building. 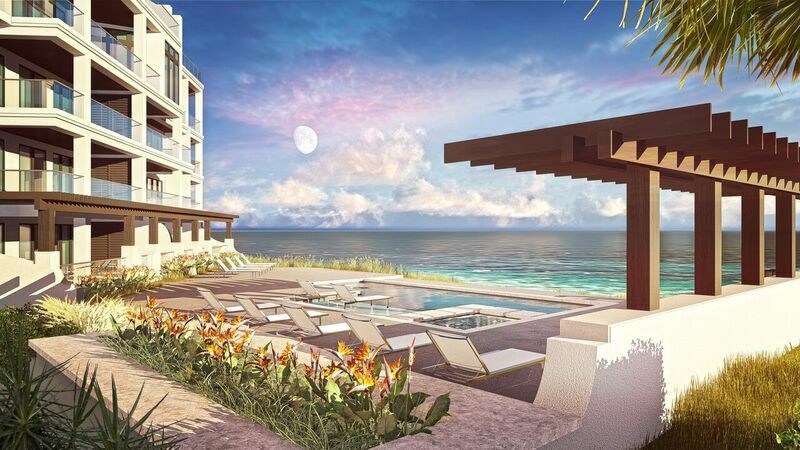 Each unit includes oversized gulf front balconies with clear partitions that look out upon the 200 linear feet of the private shimmering crystal beach and the glittering jewel toned waters that extend far into the horizon. Walls of windows look out upon the sensational scenery from spacious quarters that are accentuated by 10 to 12 foot ceilings throughout. Flooring includes a choice of rich hardwoods or fine stone tile. Countertops are comprised of shimmering quartz. The state of the art kitchens include Wolf and Subzero appliances. Bedrooms feature large walk-in closets while big laundry rooms include full sized top of the line washers and dryers. Each residence is prewired for sound, security and Internet connections throughout. 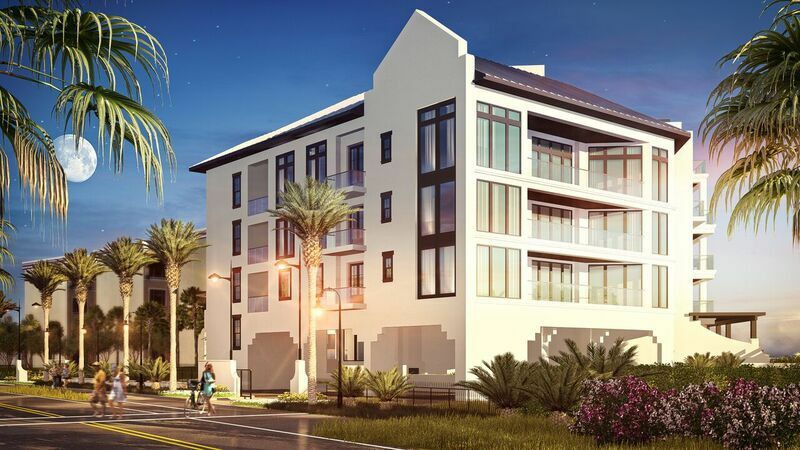 The four-story building has an elegant Dutch Colonial design that will be flanked by a row of towering Royal Palm trees and other lush landscaping. Amenities include an opulent lobby with a fitness facility, a resort styled swimming pool overlooking the gulf, direct beach access, private owner storage and a secured underground parking garage. Prices for the 12 units under contract range from $1,900,000 for a 2,245 ground floor unit with three bedrooms and baths up to $4, 475,000 for a 4,079 square foot Penthouse with five bedrooms and five baths, which also includes a 3,840 square foot rooftop terrace with a private pool! There are two luxurious beach residences still available for sale and one of them is also a Penthouse, which is Unit 600. This property encompasses 3,378 square feet and includes four bedroom suites, four full baths and a half bath Powder Room. It comes with a rooftop terrace that comprises 2,538 square feet and includes a private pool. 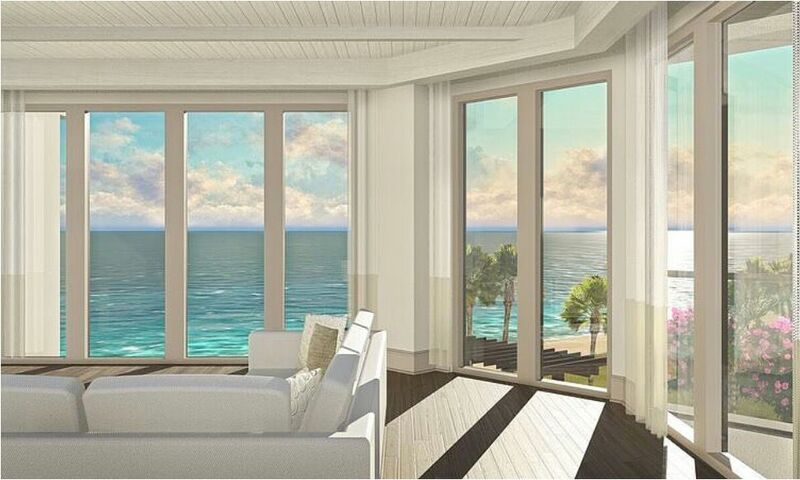 An additional gulf front balcony terrace has 486 square feet. Since construction is still underway you may individually have a choice of stone or hardwood flooring as well as several other finishes. The list price is $3,675,000. The only other unit still available features three bedrooms with three baths and incorporates 2,652 square feet. This residence also has a special Media Room and a 286 square foot beach balcony. It is priced at $2,525,000. These prices are a good value compared to other gulf front properties in southern Walton County bordering Scenic 30A. They currently list at $1,304 per square foot and the average priced beach residence is offered at $5,982,000. Note that the vast majority are preexisting residences for sale and not brand new. They range from $2,200,000 for a 2,996 square foot single-family five-bedroom home in Grayton Beach to $13,000,000 for a 12,167 square foot mega mansion in Santa Rosa Beach with six bedrooms. Contact our Ocean Reef Real Estate office today at (877) 392-6085 for more information and schedule a tour of the site. The units at Costa Blanca will not last long! UPDATE: Unit 600 is no longer available. Act fast to secure your property.